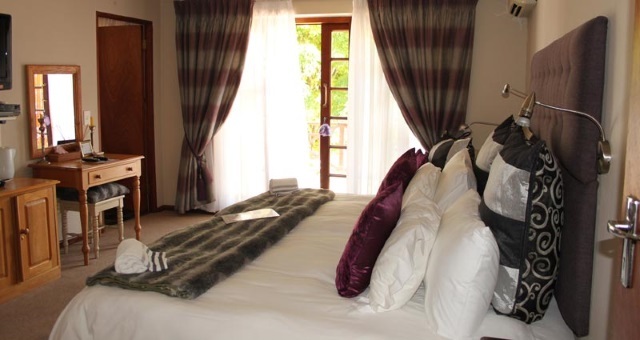 Pelican Lodge is a 3* rated Guest House offering both Self-Catering and Bed&Breakfast holiday accommodation in the picturesque village of Sedgefield. 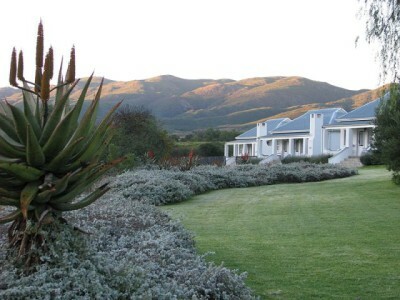 Centrally located within ‘Africa’s Slow Town’, various shops and restaurants are a few steps away. 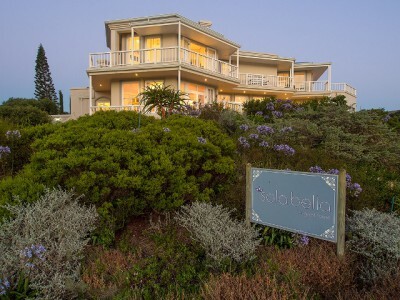 The famous Sedgefield Lagoon is within walking distance as well as Myoli Beach, a mere 5 minute drive. 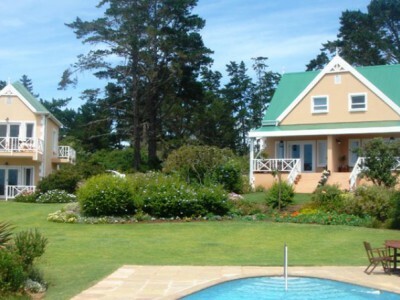 It’s an ideal base from which to enjoy numerous highlights this scenic region has to offer. Expect warm hospitality from the owner/management team as well as delicious breakfasts served in the communal dining room or outdoor patio. 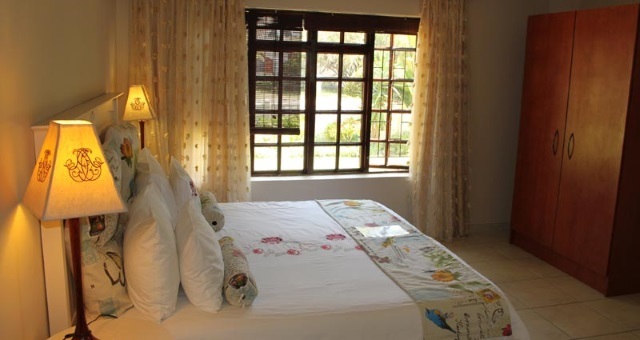 Relax next to the sparkling swimming pool, enjoy bird watching from the lush garden with various seating arrangements, alternatively socialize around the built-in BBQ/Braai areas adjacent to the pool. 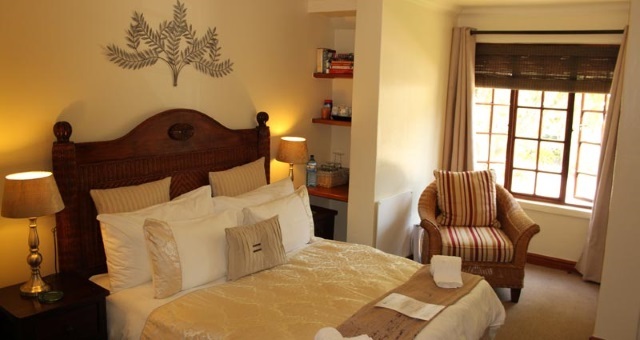 Accommodation consists of four bed&breakfast Deluxe Rooms, one of which is wheel-chair friendly, and two self-catering Garden Suites. 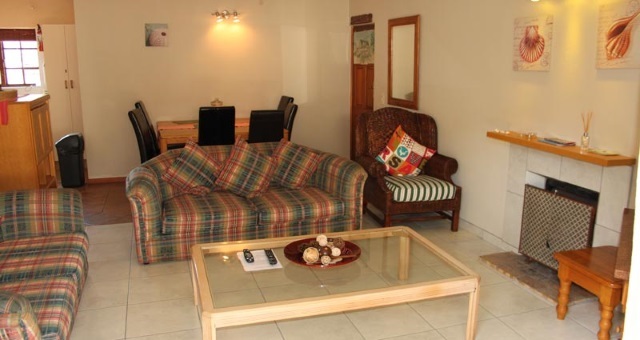 All are tastefully furnished and individually decorated, appropriately named. 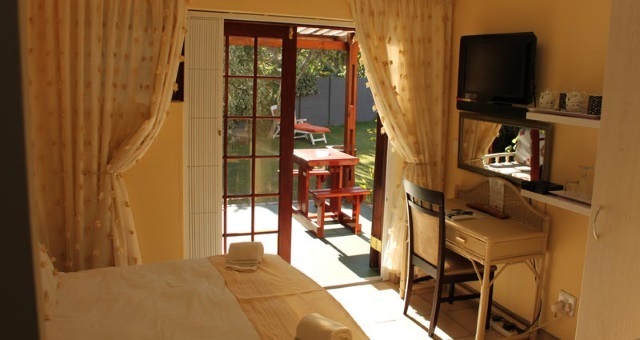 Pelican Lodge ideal for couples, families, groups of friends and business travellers. Also for cyclist, bikers, bird watchers and outdoor enthusiasts. 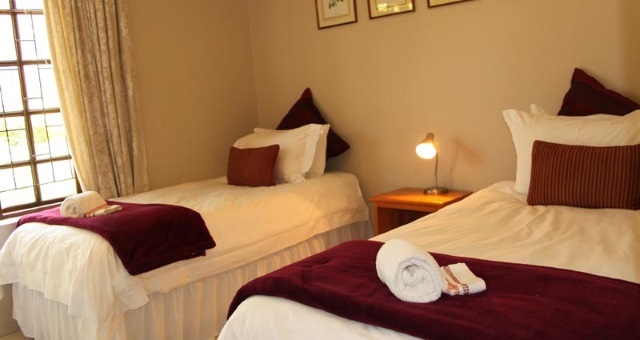 Pelican Lodge offers 4 Deluxe Rooms and 2 Garden Suites all elegantly furnished. 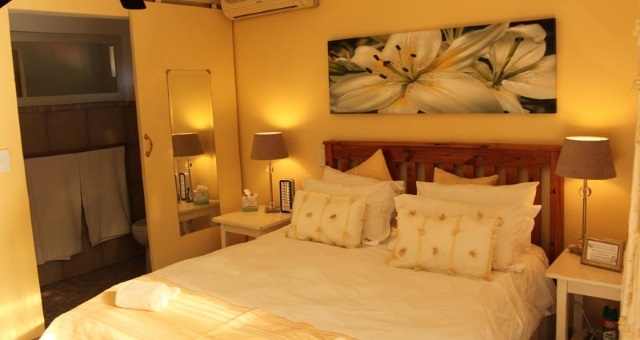 Iris Deluxe Room: Bed&Breakfast. North Facing. Sleeps max 2. King size bed. En-suite with rain shower. Doors open onto the balcony with table and chairs. Views. 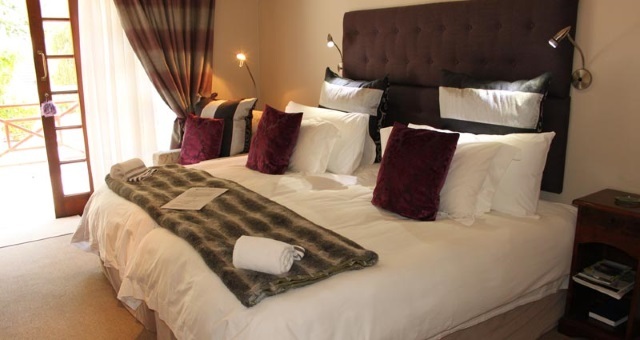 George Deluxe Room: Bed&Breakfast. North Facing. Sleeps max 2. Super King/Twin size beds. En-suite with shower over bath. Doors open onto balcony with table and chairs. Views. 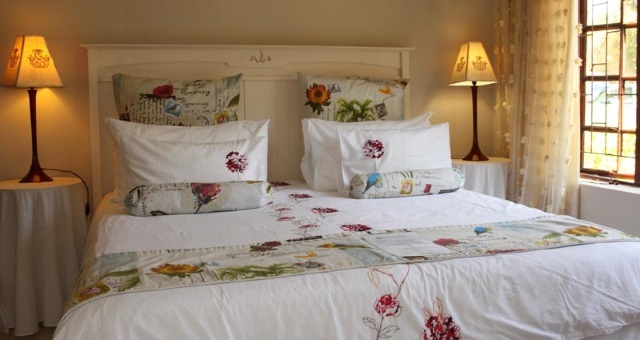 Donald Deluxe Room: Bed&Breakfast. North Facing. Private entrance. Sleeps max 2. Double bed. En-suite with shower and bath. Views. 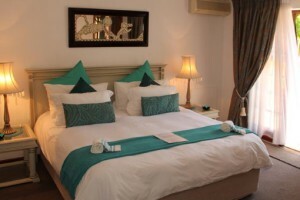 Sky Deluxe Room: Bed&Breakfast. Wheel-chair friendly. Sleeps max 2. Double bed. En-suite with shower. Private gate entrance with parking next to the room. Doors open onto private undercover patio with table and chairs. Garden views. 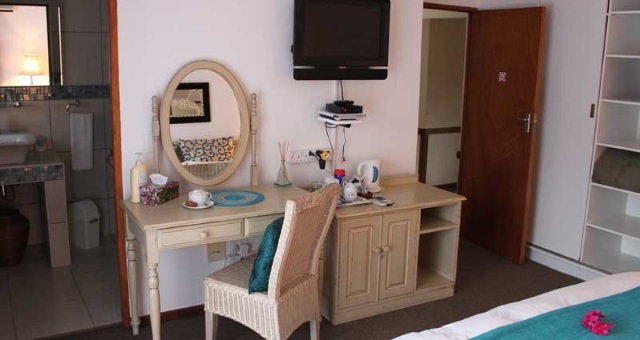 Garden Suite 1: Self-Catering. Sleeps max 5. 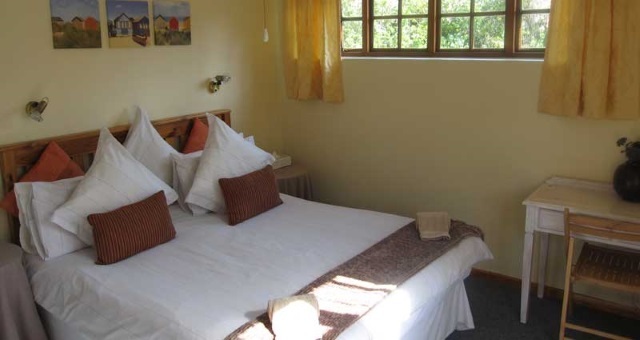 Main bedroom with King size bed and second room leading off, with Single bed. En-suite with shower and bath. 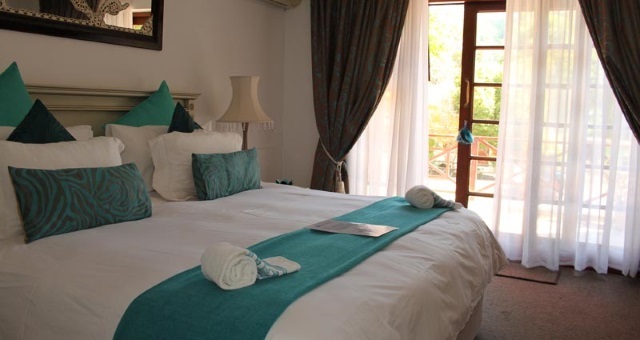 Third bedroom with Twin beds. Bathroom with shower. Open-plan lounge with comfortable couches, flows into dining area seating 6. Doors open onto patio with garden views. 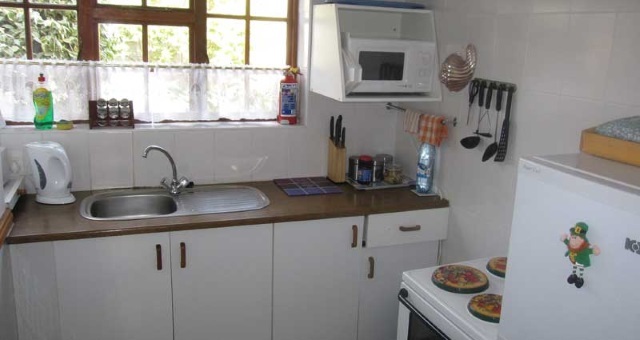 Spacious, well equipped kitchen. Dedicated BBQ area. Garden Suite 2: Self-Catering. Sleeps max 4. 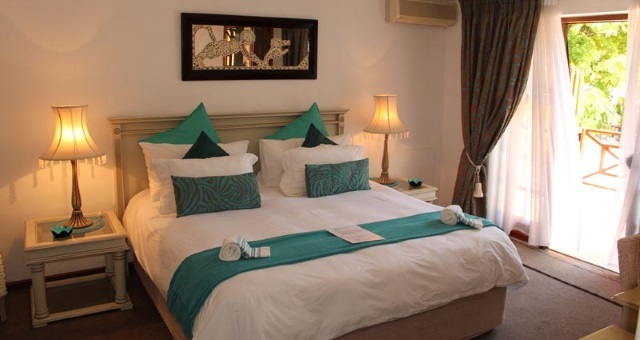 Main bedroom with double bed. 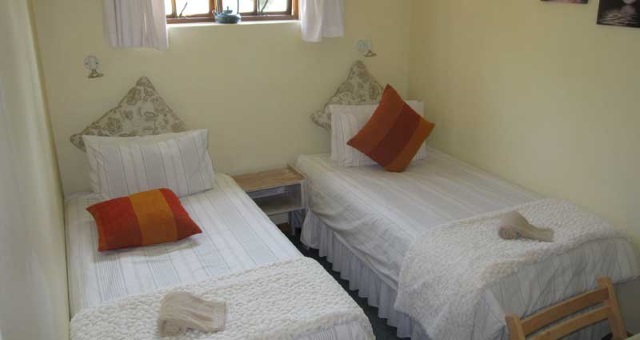 Second bedroom with Twin beds. Bathroom with shower only. Sunny lounge with comfortable couches. Dining table seating 4. Doors open onto patio garden views. Small, well equipped kitchen with pool views. Dedicated BBQ area. 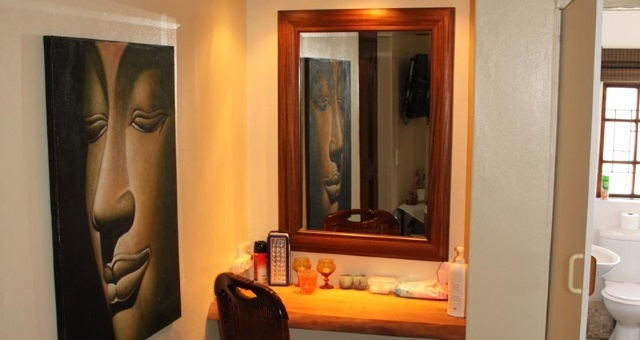 Dining Area – Restaurant where breakfast is served. 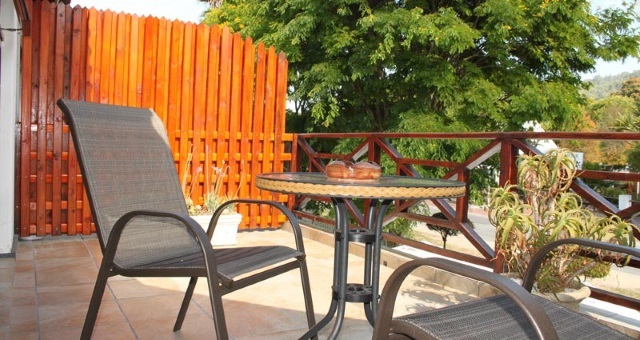 Additional dining on the patio with garden views. Lounge Area – Open-plan with the indoor dining area. Air conditioning. Outdoors – Swimming pool. 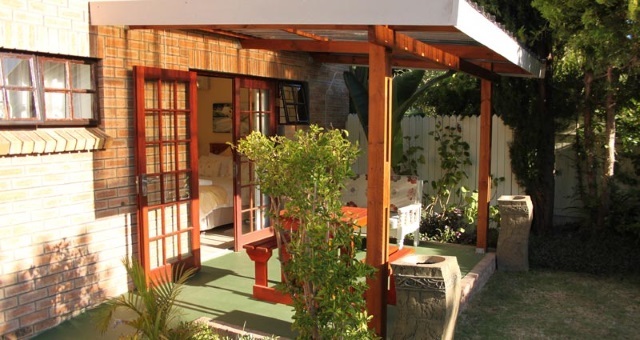 Built-in BBQ/Braai in various locations with dedicated dining areas. Various seating arrangements around the pool and in the gardens. Lush garden. Swimming Pool, BBQ/Braai. Wifi. Flatscreen TV, DStv, DVD player. On and off-site parking. Indoor and outdoor dining areas. Communal lounge. Wheel-chair friendly. Gardens. Ample on and off-site parking. Included. Laundry service upon request, at an additional charge. 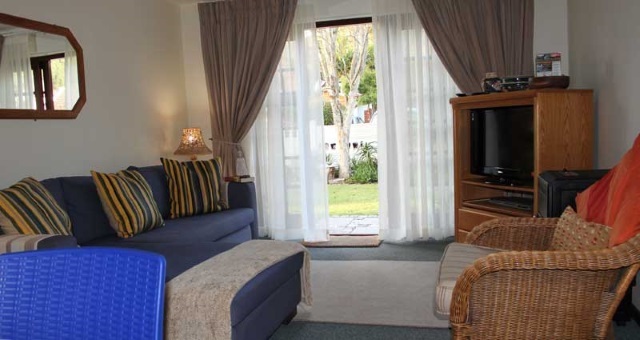 Pelican Lodge, Sedgefield, Guest House / Self-Catering Apartment.